I think I will take a break from the current Zion series to share a few musings. “From my personal study, adding context, from other related prophetic passages, it appears to me that during this time of upheaval, a secret combination of traitors within the US government coordinates a military invasion of America from an external army that is assembled from many foreign nations. While the invading army is approaching, God’s people are gathering or have gathered to the designated place where the city Zion is to be built. During this time of “consumption” upon the hypocritical nation, the gathering of the elect “overflows with righteousness“. Could ISIS result in the fulfillment of the invasion prophecy in Micah? Although I can appreciate that one of the challenges of the modern church in some parts of the world has to do with people that become inactive from the day they are baptized, as well as freeloaders that join because membership has its privileges, it is still shocking to see prophecy being fulfilled. The scriptures warn us time and again to beware of those that do secret things in the dark. When the Lord’s Church is on the earth, He always chooses and ordains his servants openly, never in darkness.This is how the Lord operates so that conspiratorial combinations cannot take infiltrate and hijack the church if the Saints are paying attention. Emma made the astute observation that Joseph and Hyrum were killed because of the secret things they had been involved in. One of the things that God stresses regarding priesthood offices and how to govern the church, is that everything needs to be done publicly, in the open. Nothing should be done in secrecy. “no person is to be ordained to any office in the church where there is a regularly organized branch of the same, without the vote of the that church.. Every president of the high priesthood (or presiding elder) bishop, high councilor, and high priest, is to be ordained by the direction of the high council or general council or general conference” (D&C 20 65-67) See also all of the passages regarding the law of common consent. The Law of Common Consent make transparency requisite. Over the years I have read countless papers on the LDS succession issue. Back when I was a naive member of the church who had done virtually no research into church history and very little serious scripture study, I used to read the various diatribes on the succession issue by LDS scholars as if they were the gospel truth. Nearly four decades of research later, I am torn between the urge to laugh and the urge to cry when I go back and read the justifications and shameless spin that the apologetic wordmeisters come up with in these essays. Privately prepared, authorized and charged to carry on Joseph’s mission? Since when is a different first presidency supposed to be “privately authorized, prepared and charged ” to replace the existing president, without the knowledge of the saints? 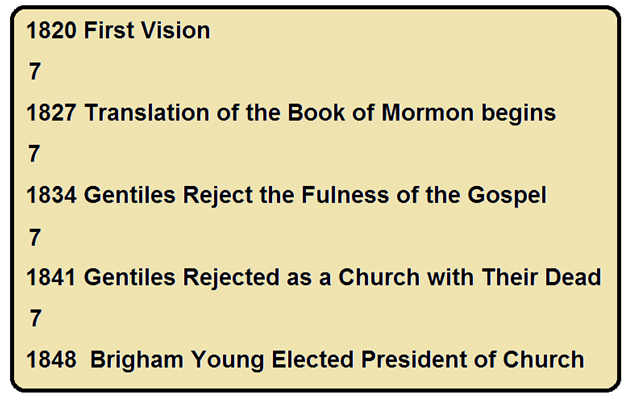 How was the general church membership supposed to know that the Lord had changed the order of things, instituted secret ordinances, and made the quorum of the Twelve (who had previously been told they were not allowed to preside in an organized stake) the new First Presidency of the church. Since when does the Lord secretly replace existing authorities because others are deemed more “competent” and “loyal” than someone, who had been established in the first presidency for over a decade, by revelation and common consent? It appears to me that these observations and declarations by Esplin were calculated to prey on the ignorance of those that don’t understand how church administration, priesthood authority and succession is supposed to work according to God’s word in the scriptures. Had Esplin been raised in the RLDS or Strangite traditions, I suspect his logic would have been just as dizzying in supporting their claims. It is quite an exhaustive expose on what was taking place in Nauvoo during the time leading up to and including the death of Joseph Smith. Although it is also couched in apologetic spin just as dizzying as the above essay, it is quite revealing. I past that little gem by Ehat on to an acquaintance years ago who has publicly staked his reputation on the belief that Joseph Smith never practiced polygamy, hoping he would have the integrity to seriously review the overwhelming mountain of documentation available and amend his position but alas, it is human nature to believe what one wants to believe, and not be bothered by the facts. Smith is the revelatory anthropologist who has authoritatively declared that the Bible is an uninspired and corrupt canon of scripture and that the original intent of the Book of Mormon had nothing to do with Biblical Christianity or the need for a restoration to Biblical Christianity. He opines that the dastardly duo of Rigdon and Parley Pratt high-jacked the true intent of the Book of Mormon by placing their evil restorationist views upon it. All of this was divined by Smith despite the copious quotations from the King James Version of the Old and New Testament all throughout the Book of Mormon and the declaration in modern revelation that the Book of Mormon proves that the Bible is true!!!! Actually my characterization of Rigdon is that he was one of the great orators and scriptural scholars of the time whose prophetic role as a scapegoat figure, eventually caused him to have the sins of latter day Israel place upon him and therefore, he did lots of crazy things. He perhaps even became a little crazy during the later part of his ministry and remainder of his life. It is interesting that out of the 13 sections that address Rigdon, most characterizing him in a very positive way, Smith could only find one of significant importance to quote in his thesis.. the one where the Lord chastises Rigdon. LOL It is a natural tendency to only see the evidence that supports our personal conclusions. ( know, I know, I probably suffer from this tendency as much as the next guy.) What is strange about Daymon Smith is that he quotes profusely from the D&C during his lectures even though he clearly does not believe most of the sections he quotes from based on the foundational claims he makes about his cultural based revisionism and reinterpretation of what the Book of Mormon is really supposed to be conveying. Snuffer also appears to make veiled references to my posts. Perhaps some day I will document and respond to them. It is interesting to me that many of the people that seem to despise me and detest my beliefs and my literal interpretation of scripture, seem to be avid readers of my blog. September 1830 Revelation (Section 29) designating the Seven Elders that will return in the 3rd watch to gather the elect. Interestingly, there is a seven year period between section 29, given in September of 1830, and September of 1837, when Joseph and Sidney fled Kirtland during the peak of the Kirtland apostasy. You will recall that the “drop dead” date for Zion to be redeemed, according to Section 64, was September 11th of 1836. If you have not read the papers by John Pratt and Lenae Hadley and others on this topic, you should take the time to do so. 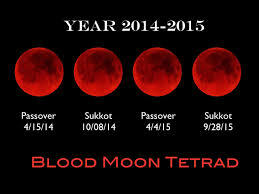 There are several dates within the month of September that have prophetic significance. In addition to the 21st and 22nd, the 11th is very significant, regarding section 64 and the redemption of Zion. Countless other significant events took place on the 11th of September, including, the mountain meadows massacre, the collapse of the towers on 9/11 of 2001. Over the years I have noticed many interesting time sequences between major events that seem to be significant. Many of them match the prophetic time sequences in the Book of Daniel. There are many events that seem to happen 3 1/2 years apart and others that happen seven years apart. 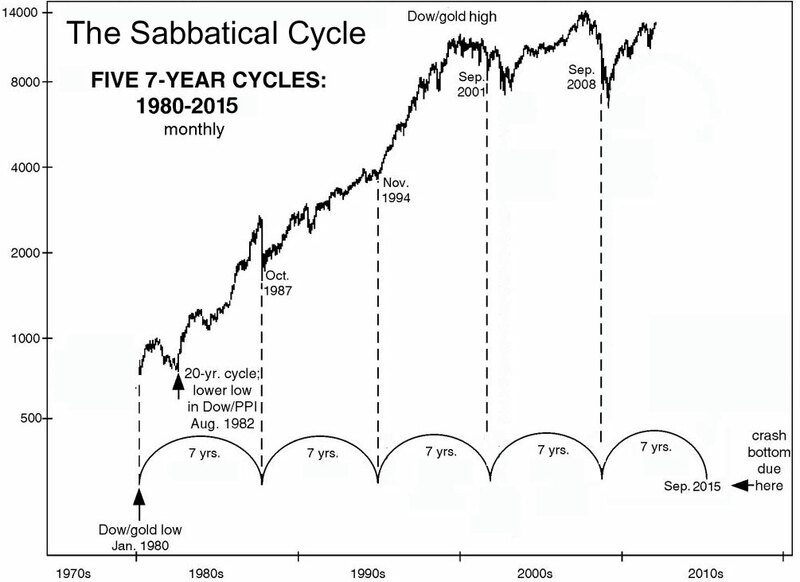 The illustration below shows five major historical events that just happen to all take place in seven year increments. Is it a coincidence that there was exactly four biblical generations between the rejection of the church with their dead in September of 1841 and the tumbling of the twin towers of Babylon in September of 2001? I think that studying prophetic time sequences in the past can be helpful in studying prophetic time sequences in the future. Those of you who have read about the amazing “Harbinger” prophecy in Isaiah by Jonathan Cahn are no doubt aware that he just released another bombshell called “The Mystery of the Shemitah“. Shemitah has to do with the ancient seven year cycle that God commanded Israel to keep, but the Shemitah is was also pointing to and typological of, the prophetic events of the end times. In the book, Kahn points out that many major historical events have taken place during Shemitah years. He highlights the fact that 2001 when the twin towers came down, was a Shemitah year. He says that seven years later in 2008, when the stock market crashed was a Shemitah year. The fall of the towers and the fall of Wall Street both took place, seven years apart, during Shemitah years. And guess what… according to Kahn, the next Shemitah year begins this month within just days. He cautions that God doesn’t always do something major during a Shemitah year, but he thinks we should be on the alert. 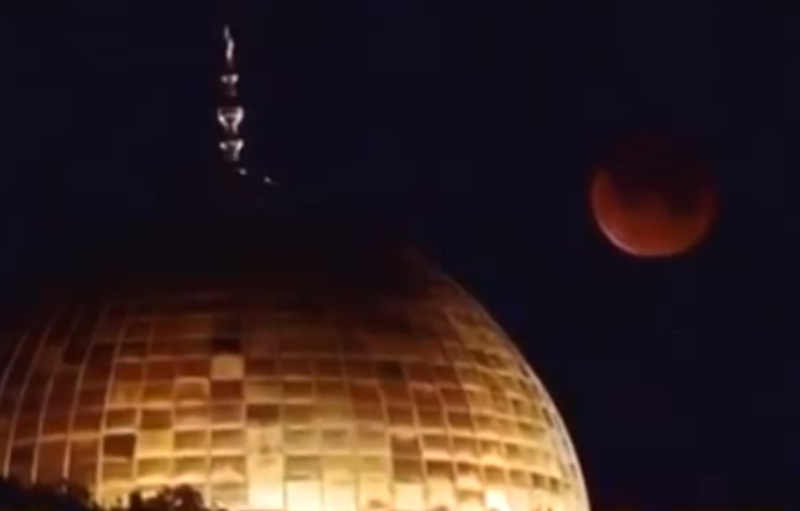 He also cautions that a major event is just as likely to happen at the end of this Shemitah, in September of 2015, as at the beginning, in September of 2014. In fact, September of 2015 is probably when something huge is going to happen, but since we know that God’s servants must return, possibly before a huge, global event occurs, we would be wise to be alert from here on out. It never fails to amaze me just how far away from Gods word we latter day saints have strayed. One of the most basic doctrines of the end times is the doctrine of the rapture and yet, Mormons seldom speak about it. Indeed, many Mormons don’t believe it is a true doctrine. Here is a good example of a Mormon’s thinking on the subject. Unlike the Protestant belief that the righteous will be scattered all over the earth when the rapture takes place, LDS scripture informs us that the rapture will be a “gathered group” event, just like the rapture that took place with the city of Enoch. Anyway, for those that want to gain a greater understanding of the Book of Revelation, I am providing the first three lectures on the topic given by Chuck Missler. One of the profound observations that he makes is that all of the scary stuff that is mentioned after chapter four in the Book of Revelation does not really apply to the righteous because they will be not be on the earth during those terrifying events, they will have been raptured up BEFORE any of those things happen. One of the fascinating things he points out is that the Book of Revelation was written by John BEFORE the Gospel of John was written! As a missionary I used to point this out to critics that would quote Revelation 22:18 to prove that there should not be any further scripture after the New Testament, but I never knew how to document it. Another interesting piece of trivia: He thinks 2nd John is a letter to Mary as per verse one! Back in the late 80’s or early 90’s I wrote an article titled “A Mystical Look at the LDS Restoration Movement“. It spoke about how the events contained in the Book of Mormon took place in North America and more specifically how they intersected with many of the sites of the LDS restoration movement. I have previously blogged about how I sent the article to the folks that promote the heartland Book of Mormon Geography Model. Unsurprisingly, most LDS apologists continue to promote Central America as the lands of the Book of Mormon people. I digitally posted the article on the LDSAnarchy blog about 4 1/2 years ago, in October of 08. In the article I opined that many of the events that took place in Kirtland and relating to the Kirtland Temple were in fulfillment or partial fulfillment to some of the ancient prophecies of Daniel. Something I speculated in the article was that the city across the river from Nauvoo that the Lord named “Zarahemla” in section 125, was the same geographical location as the Zarahemla mentioned in the Book of Mormon. 1 WHAT is the will of the Lord concerning the saints in the Territory of Iowa? 2 Verily, thus saith the Lord, I say unto you, if those who call themselves by my name and are essaying to be my saints, if they will do my will and keep my commandments concerning them, let them gather themselves together unto the places which I shall appoint unto them by my servant Joseph, and build up cities unto my name, that they may be prepared for that which is in store for a time to come. 3 Let them build up a city unto my name upon the land opposite the city of Nauvoo, and let the name of Zarahemla be named upon it. Yesterday I dropped by the preparedness fair at UVC in Provo Utah. While speaking to Wayne May, one of the presenters, and the editor of the Ancient American Magazine, I asked him if he had ever considered the possibility that the city of Zarahemla mentioned in section 125 was in the same location as the ancient Book of Mormon city by the same name. When I asked the question he smiled and pulled out a special edition of his magazine and showed me an article that told an interesting story. Apparently, in October of 2010 Wayne was visiting some friends in Nauvoo. In the conversation the same question was posed. This led to the idea that, using descriptions provided by Joseph Smith and others in some historical texts, they go over to the other side of the river and scout around to see if they could ascertain where the Zarahemla of section 125 may have been located. They also wanted to see if there were any signs of an ancient City and Temple. While on this expedition, Wayne found an earth-berm that looked very similar to other Hopewell sites that he has discovered. 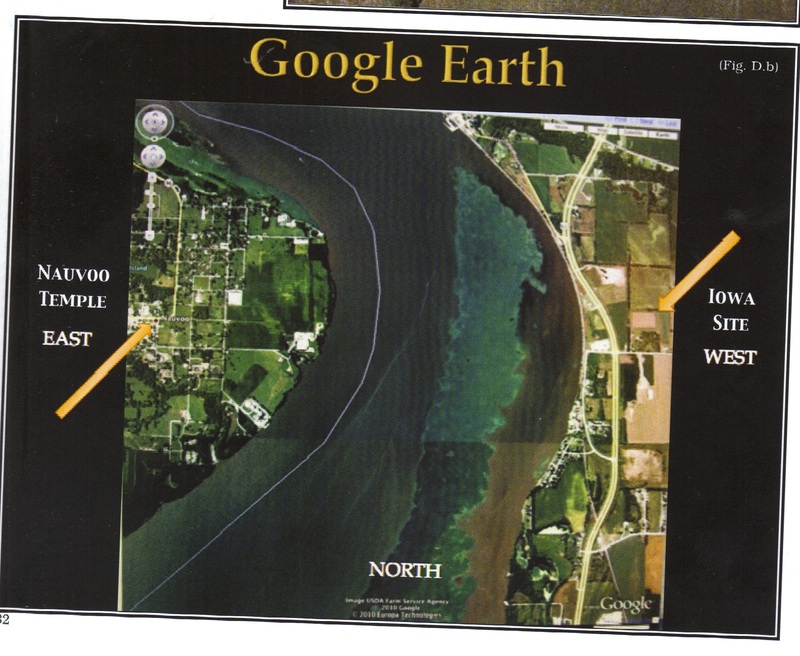 This exciting discovery motivated them to utilize Google earth and do further research. After finding the general area they believed the city to have been located in, they used ground penetrating radar to see if there were any detectable objects buried in the vicinity. Believe it or not, the scan identifies a wood foundation buried five feet below the surface of the earth. 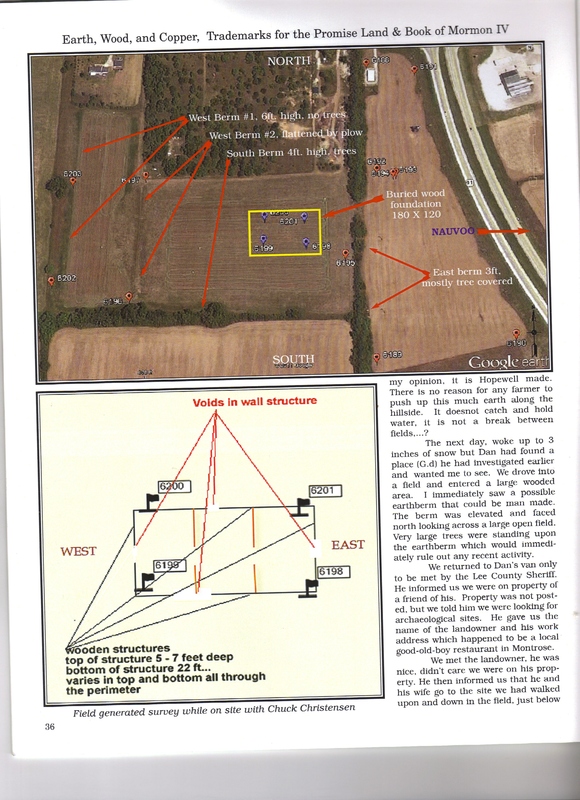 The foundation is a rectangle shape of approximately 180 feet by 120 feet which is about the same approximate dimensions as three other previously identified Ohio Hopewell Temples that have been discovered as well as one ancient Hopewell Temple located in Iowa. To make a long story short, Wayne and about six or seven other investors have located the owner of the property and made an offer . They are hopeful that it will go through. If it does, they will begin doing an archeological dig as soon as the deal closes. Will this strengthen my mystical testimony of modern revelation and the Book of Mormon if the dig takes place and hard evidence is found to substantiate the Book of Mormon? Testimony is not built on scientific verification. From time to time I highlight the life and pay a tribute to of one of the great men of the restoration movement. Today I want to address the calling of “counselor” and also talk about the three great counselors of the restoration. Hopefully you are sitting down, because you will probably be appalled that I think so highly of one of the men I am about to spotlight. The Prophet Joseph Smith was ordained as president of the high priesthood on 25 January 1832 (see History of the Church, 1:267), his counselors were not called until 8 March 1832 (see “Kirtland Revelation Book,” p. 10). This revelation was directed to one of those counselors, Jesse Gause, but it was applied to Frederick G. Williams when he was called to the Presidency to replace Gause on 8 March 1833 (see D&C 90 ; History of the Church, 1:329–30). March 18, 1833, is the date when the organizing and ordaining of the first First Presidency in this dispensation was completed (see History of the Church, 1:334). Section 90 informs us just how significant of a role Frederick will play in the Marvelous Work and a Wonder when he returns with Joseph and Sidney in the third watch. That through your [Joseph] administration they may receive the word, and through their [Sidney and Frederick] administration the word may go forth unto the ends of the earth, unto the Gentiles first, and then, behold, and lo, they shall turn unto the Jews. And then cometh the day when the arm of the Lord shall be revealed in power in convincing the nations, the heathens nations, the house of Joseph, of the gospel of their salvation. For it shall come to pass in that day, that every man shall hear the fulness of the gospel in his own tongue, and in his own language, through those who are ordained unto this power, by the administration of the Comforter, shed forth upon them for the revelation of Jesus Christ. As you can see, when the Marvelous Work begins, it will continue seamlessly from the foundation that was already laid back in the 1820’s and 1830’s. Joseph’s ministry will be to receive the word of God while Sidney and Frederick will be responsible for the administration of taking the word that is received through Joseph to the ends of the earth. Fredrick was one of a few relatively well to do believers who provided his own land for the gathering of the saints in the Kirtland area who wanted to live the restored biblical principle of having all things in common (consecration). That farm was eventually used for the printing house, House of the Lord, and for homes for Joseph, Hyrum, Sidney, and others. “The plans for the Kirtland Temple were shown to the First Presidency of the Church—Joseph Smith, Sidney Rigdon, and Frederick G. Williams—in a vision. Frederick G. Williams reported that the Lord told Joseph to gather with his counselors, and the Lord would show them how to build the temple (see D&C 95:14). June 29, 1836 Joseph and Emma name their second Frederick Granger Williams Smith. He was eventually excommunicated illegally, in absentia. Church law requires a court to allow the accused person to be present, face their accusers and defend themselves. It is my opinion that Frederick is one of the truly great men and counselors of the restoration movement and he is going to return with others to complete their assignments. What is the Calling of a Counselor? I want to talk about a calling in the church that has been grossly misunderstood and corrupted. It is the calling of “counselor”. 1. Any person who gives advice; but properly one who is authorized by natural relationship, or by birth, office or profession, to advise another in regard to his future conduct and measures. There are several people who were called by divine revelation to be a counselor to Joseph Smith regarding his responsibly to be a presiding elder and perhaps other callings. In the modern church today, a counselor is someone who acts in a subordinate role. Interestingly, that is not how it was during the early days of the restoration. It is not how it is supposed to be. Nor is it how it was intended to be. Originally, the counselors to Joseph Smith were called to counsel him “in regard to his future conduct and measures” not to take assignments from him. 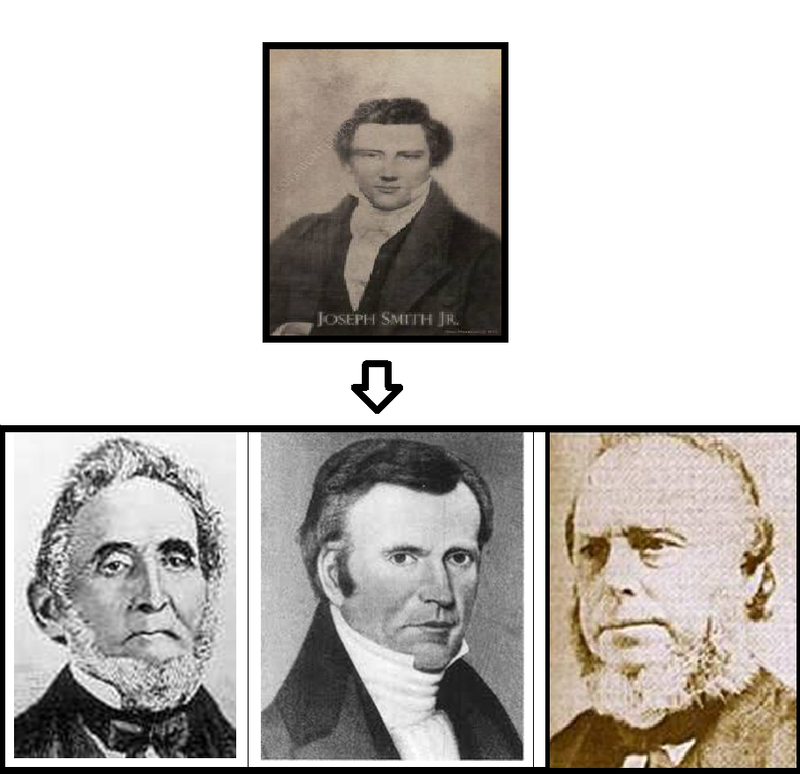 Obviously, God would give assignments to these counselors via revelations, but in the personal relationship with Joseph Smith himself, these men were called to be his counselors largely because they were pious men who were usually older and wiser. The following graphic showing three of the great men who were called to advise Joseph illustrates how God initially meant for the relationship to be with the counselors instructing and providing counsel to the one who presides on how to act in his calling. This next graphic illustrates how the current modern church has changed the nature of this calling. Again, most Latter day Saints have been indoctrinated to believe that the counselors to someone who presides are to act in a subordinate role to the President. It is currently believed in the modern corporate church that counselors are basically helpers to do what the President tells them to do. That is not what the original and true role of a “Counselor” was when God first revealed the nature of the calling. A counselor who was called by divine revelation in the restored church was a man who was typically more experienced, more knowledgeable and wiser that the “President” they provided counsel to. In most cases the counselor was older, as in the cases of Jesse Gause who was 20 years older than Joseph, Frederick Williams who was 18 years older and Sidney Rigdon who was 12 years older. One exception to the rule was William Law who as 4 years younger than Joseph, however, William was a very unusual person with vast experience and skills that he brought to the table. This term “counselor” can be traced all the way back to King David who also had a Counselor by the name of Ahithophel. The responsibility of the counselor in the restored church was to give Godly and doctrinally congruent counsel to the person who was called to preside. A modern day analogy to this pattern would be that of the relationship between a CEO and President of a Corporation and that of the Board of Directors. Although the CEO/President is considered to be the head of the organization and makes the day to day decisions for the company, he still needs to answer to the members of the board and receive counsel and direction from them. In a sense, God is the head of the board. Perhaps one of the most obvious scriptural proofs of the top-down relationship of the counselor to the person or people who preside, is found in section 112 when the Lord explained that the first Presidency of the Church was called to act as counselors to the quorum of the twelve. The fact that the First Presidency were commissioned by the Lord to be counselors to the 12 was not implying that Joseph and the other members of the First Presidency were called to be subservient to and to run around doing assignments given to them by the 12 apostles, hardly. That passage was documenting that the First Presidency was to instruct and give counsel to the apostles and “advise [them].. in regard to [their].. future conduct and measures. This is because the First Presidency was significantly wiser, more knowledgeable, more doctrinally astute, receiving greater revelation and enjoying the spiritual blessings of a higher office than the Twelve. The First Presidency was to watch over and give guidance to the Twelve as their counselors. The same was true when Sidney Rigdon was called to be a counselor to Joseph Smith. Sidney Rigdon was arguably the most able Bible scholar in the United States when he joined the Church. He was older and had much more experience in life and in running a ministry and a church organization than Joseph. As you can see, Sidney’s role as a counselor was not that of a subordinate yes man. It was that of a wise, experienced sage, one who God had prepared and ordained to give Godly instruction and counsel to Joseph. Sidney was to compensate for many of Joseph’s weaknesses and keep him on track. In later revelations it was revealed that Sidney jointly held the keys of expounding the mysteries out of the scriptures and of holding the keys of the kingdom. It was also revealed that another one of Sidney’s responsibilities was to use the Bible to prove the accuracy and consistency of the new revelations that Joseph was receiving. All of this is helpful in understanding the true role of a counselor. It is not completely clear how and why the calling of counselor become corrupted. One reason appears to be that during the Nauvoo years, Joseph felt shackled by the counsel he was getting from time to time from his counselors. Another issue is that when Joseph began teaching doctrines that conflicted with the original teaching of the Kirtland era, his counselor, William Law began to counsel Joseph to repent and eventually felt compelled to expose what Joseph was teaching and doing. This resulted in Joseph excommunicating William Law in absentia without giving him the opportunity to face his accusers and defend himself. After the martyrdom, the church rejected Joseph’s second counselor, Sidney Rigdon. For this reason, the official history of the church was altered to minimize and marginalize the important role that both of these wise counselors were to play in the hierarchy of the church. Lastly, Brigham Young, like Joseph, preferred to pretty much be in charge and to simply delegate responsibilities to counselors. People with dominant personalities hate accountability and they hate having to listen to advice that is contrary to what the dominate personality wants to do. In part two of this series I will document some of the major things in the life of William Law and I will explain why I consider him to be one of the great, inspired counselors and among the greatest men in the LDS restoration movements. The Google Apostasy Part 2 Does The Mormon Church Uses Paid Shills to Influence the Way People Think? ” The City Creek multi-billion dollar project has excited a lot of criticism. The result has been dismay by many faithful Latter-day Saints. Their anxiety over the project has become the subject of many conversations on the Internet. Snuffer is a faithful member of the church and an attorney. He did not explain how he obtained this sensitive information however; it is difficult to believe that he just made it up. Although I found his accusations fascinating, that the LDS church was using paid shills to influence the thinking of members of the church, I didn’t really put much additional thought into it. Recently however, I encountered a situation that has caused me to focus my attention on this issue. In my last blog post I commented on the recent remarks of Elder Marlin K. Jensen at Utah State University and how the current “Google Apostasy” represents the greatest turbulence and crises of faith among Mormons since the Kirtland apostasy back in the 1830’s. Jensen had acknowledged that many Mormons were experiencing a crisis of faith because Google and the internet was bringing to light some very perplexing and distressing doctrinal and historical issues pertaining to the LDS religion. Jensen then assured the audience he was speaking to, that the church was taking measures to deal with the situation. In that post I mentioned that the church had hired an SEO expert to try and redirect people searching on the internet to neutral and positive websites instead of negative anti-Mormon websites. I speculated that they were probably doing some online reputation management work as well. Within a very short period of time I had several visitors make comments… three of the visitors that made comments are the topic of this post. The first commenter I want to speak about had a screen name of “Ted“. Ted took issue with one of the critical comments that I made where I claimed that the current general authorities of the Mormon Church were not very knowledgeable about church history or doctrine. “I love Rough Stone Rolling, and would love more direct approaches to dealing with challenging issues on the Church websites“. This passionate statement appeared to be agreeing in part with some of the things I had said on my post. I thought it was interesting that these two different people were coming from the same IP address. Perhaps they live in the same home or apartments I thought to myself. At this point my curiosity got the better of me so I did a reverse IP address search to see who owns that particular IP address. Well, we will get to that in a minute. The story gets better. He then lovingly counseled me to “not rely so much on the logical“. “faith is rarely logical” he assured me. You will never guess what IP address he was posting from so I will simply tell you. That’s right, he was posting from the same IP address as Ted and Evan. Imagine that, Ted, Evan and Mark-E were all taking issue with me, sticking up for the modern corporate church and they were all posting from the same IP address, what a coincidence! I had a doctrinal exchange with Mark-e-Mark, and told him why I felt he was putting his faith in the “arm of flesh“. He visited me again to make a rebuttal. Following his rebuttal, he apparently began making comments on another controversial LDS blog using a different screen name. Then, he had another thought that he wanted to make on my post. In his rush to make the response on my blog, he forgot to change the screen name he had been using to make comments on a different controversial LDS related blog site. He then acknowledged that he had made a mistake in using the circus screen name and changed back to Mark-E-Mark.. In the spirit of mocking me and my screen name, Mark-E-Mark decided to create a unique screen name of “onewhoiswaiting” which would apparently be dedicated to making comments on my blog. Apparently, in anticipation of cyberstalking my future posts he decided to go to the trouble of creating a screen name that would be dedicated to countering the information on my future blog posts. As you have probably already guessed, all of these people and comments that I have been speaking about were coming from the same IP address and according to the reverse search service that I used, that IP address is owned by The Church of Jesus Christ of Latter-day Saints. 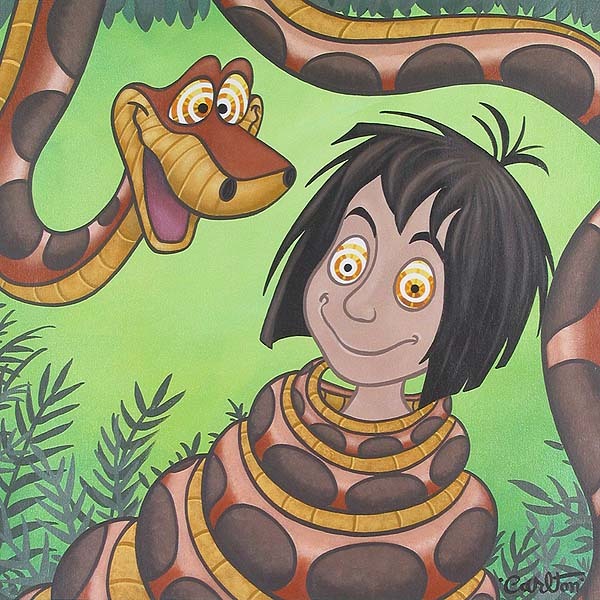 After doing a little further research, I believe I have identified exactly who one of the people is. I have reason to believe he is a full time employee of the Church of Jesus Christ of Latter day Saints. He was hired away from Microsoft and works in the LDS Church “user research” division. Perhaps the user research division is the same division that Denver Snuffer was referring to. I even know which arm of the church he works for and the general physical location of the building that houses their “user research” specialists. The block it is on appears to be located on or close to 21st South between 4th and 5th East in Salt Lake City Utah. 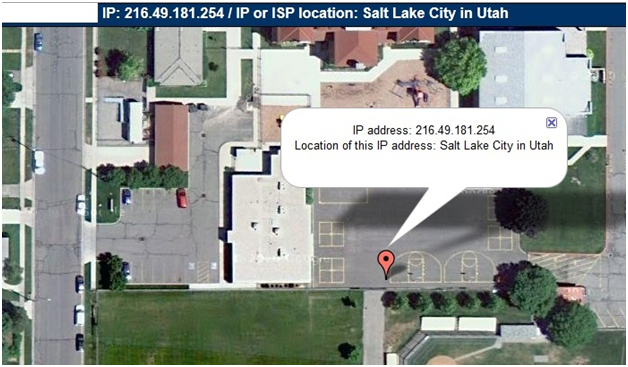 The map below shows an Arial view of the general location where their facility is located, according to the analytics provided by wordpress. After realizing that Ted, Evan, Mark-E, and “I love the Circus” were all coming from the same IP address that is owned by the Church of Jesus Christ of Latter day Saints and that the people (or person) posting comments appeared to be employees of the Mormon Church, I wanted to give Mark-E Mark the opportunity to come clean and admit that he was a paid influencer working for the Mormon Church if in fact he was. “I am going to invite you to publicly acknowledge whether or not you are on the payroll of the Church of Jesus Christ of Latter day Saints. It also occurred to me that perhaps these people were just rogue employees of the church who were making these posts from their employers IP (some during work hours, some late at might) without being directed to do so. So I emailed MarkE and the others and showed them this post before posting it, giving them the opportunity to respond and explain what their real motivation was and whether they were directed by their employer or not. It has been over a week with no response. I have been feeling pretty important and honored to realize that the user experience department of the LDS Church may be among my very small group of blog followers. Members of the church should be aware that this may be an activity the church is investing in. Are the brethren concerned about the information I have been blogging about? If so, they must deem something that I am saying to be disruptive enough to do this types of activity. Is there something they don’t want you to know? It is actually difficult to know for sure what concerns them the most because I have written over 300 posts and articles on a large array of issues during the last three years. Perhaps they don’t want people to know the truth about the fact that the Marvelous Work is a future event that takes place in the third watch. Perhaps they don’t want people to know the truth about Kirtland and the Jerusalem Isaiah spoke about. Perhaps they don’t want people to know the truth about what really happened at the special conference at the Morley Farm and the fact that there are actually three levels of priesthood. Perhaps they don’t want the truth revealed about the true role of prophets and how God does use prophets to teach false doctrine and lead the unfaithful and ignorant astray. Perhaps they don’t want people to understand that salvation in the highest kingdom is only obtained through the spiritual rebirth and baptism of fire which they cannot administer. Perhaps they don’t want people to understand that the stone that Daniel saw rolling forth in power has nothing to do with the current Mormon Church. Perhaps they don’t want it understood that after the true Church of Christ was restored and then fell into apostasy, the name of the condemned church was changed to the Church of the Latter day Saints and then eventually to the Church of Jesus Christ of Latter day Saints. Perhaps they don’t want people to realize that the church that came forth out of the wilderness of darkness, according to modern revelation, went back into the wilderness of darkness within a few years after the restoration. Perhaps they don’t want people to know how to identify the seven signs of the only true church and to realize that those signs are vacant in the current Mormon church. Perhaps they don’t want people to understand what ancient prophecy actually says about the ministry of Joseph Smith and about the atonement statute. Perhaps they don’t want people to know the real truth about the succession doctrine and what really happened during the succession crisis. Perhaps they don’t want people to know about why Joseph and Oliver kept the visitation of Christ and three angels at the Kirtland Temple and the related events contained in section 110 a secret from the saints. The powers that be apparently don’t want people who are experiencing a crisis in faith to see the shocking, yet comforting and faith promoting answers to all of the disturbing information out there about Joseph Smith and the LDS restoration movement. It appears they would prefer that people lose their faith in the gospel of Jesus Christ rather than to learn the truth about the modern corporate church. My how the evolving leadership of the corporate church over the last 180 years has deviated from being focused on taking care of the poor and the cause of Zion, to building billion dollar shopping malls and encouraging shoppers to purchase $10,000 designer watches. It would appear as if they have become preoccupied with silencing the small voices like mine instead of listening to THE still small voice. Naturally, I am curious to know who is over the “paid employees and volunteers who post on-line responses using personas, or anonymous identities to beat back those who express concern.” if in fact Denver is correct. In my next post I am going to provide a link to a synopsis of what actually happened during the 14 year public ministry of the prophet Joseph Smith. In that synopsis I will provide a credible biblical explanation of what took place during the LDS restoration movement. In it, I am going to bring to light the disruptive information that the leaders of the Church of Jesus Christ of Latter days Saints desperately don’t want to the membership of the church to know. It will contain a response to all of the difficult questions being asked by skeptics and unbelievers. In it he warned the members of the church to beware of those who speak about gospel topics who do not have the authority to do so. Of course the main purpose of the talk was to do damage control since Sunstone and other symposiums and publications were raising controversial issues and waking people up about church history and the original gospel taught in the early church history and in the scriptures. Some issues were being raised by intellectuals from academia while others were being raised by LDS fundamentalists and renegade historians. Since that time I am happy to observe that there have been many new alternate voices that have educated Mormons and challenged them to search church history and the scriptures. I think that agency is very important and I think those that have inquiring minds have a right to seek out additional information and to share their views of history and the gospel with others. The internet has changed the world and it has certainly changed the world of Mormonism. Information is being rediscovered and disseminated at a rapid pace and it is creating indigestion for a lot people in high places. There are numerous bloggers out there that I enjoy reading from time to time that do a great job of exposing the apostasy of the latter day church. It seems like more and more of these types of blogs are popping up all the time. I believe this is a sign of the times. There is a lot of good that comes out of these types of blogs and there is a lot of bad as well. More and more people are waking up to the fact that all in not well in Zion. Most of these alternate voices focus on the PROBLEM (apostasy of the latter day church) and only talk about the obvious signs that the church is in apostasy, and do not reveal the SOLUTION (how the redemption of the latter day church and the establishment of Zion is going to take place). Most of these alternate voices do not discuss how the Lord is going to bring the believing gentiles out of apostasy and redeem Zion. Some of them still assume the church still holds all of the keys Joseph Smith held despite the countless problems that are discussed. Many of these sites end up leaving their readers in a state of confusion and despair because they only harp on the awful state that we are in. Often times the result of these blogs on the readers is the loss of testimony in the gospel, the latter day work, the calling of Joseph Smith, and in Gods word. Many of these sites point their readers down what the Book of Mormon refers to as forbidden paths by promoting false doctrines, rather than hanging on to the iron rod. The problem, in my opinion with only harping on the apostasy is that even though it gives many readers an “ah hah” moment and helps them wake up and understand the insanity being experienced in the corporate church, it leaves many readers in a state of confusion and anger and despair regarding the state of Gods people and their own salvation. This makes lots of people ripe for entering into forbidden paths. Everyone with a voice has a calling. For some it is to spread a little light and ultimately point people on the right path. For others it is to spread a little light and ultimately point people into a forbidden path. It is all part of the program, those who are the elect will ultimately make it through the maze, they will know the voice of God’s servants when the Marvelous Work begins. In addition to those who blog about the apostasy, there are those at the other extreme who continue the myth that leaders and members of the restored church continue to have the heavens opened and enjoy direct communion with God and receive the second comforter despite the fact that we as a individuals and collectively as a people have been rejected as a church and have failed to keep the law of the gospel, have not sacrificed all things, (which is required before one can receive their calling and election), and we no longer have the keys of the kingdom on the earth. What does it mean to be thoroughly tested? “A religion that does not require the sacrifice of all things never has power sufficient to produce the faith necessary unto life and salvation; for, from the first existence of man, the faith necessary unto the enjoyment of life and salvation never could be obtained without the sacrifice of all earthly things” (Lectures on Faith , 69). There is no bypassing the system. You cannot have your calling and election made sure at this time on the earth without doing what all of the great prophets have done. You must consecrate and sacrifice all things. Those of us living during these times of hidden darkness kid ourselves if we assume that we have sacrificed all things for the Lord or even come close to making the sacrifices that some of the early saints of the restoration movement have made. I believe the people of this generation who think they have made great sacrifices for the Lord deceive themselves. I am skeptical that there are members of the latter day church that have sacrificed all things and made their calling and election sure. Indeed, if there are such people then indeed the many evidences I have provided of the last restoration of the gospel would be invalid since there would clearly be know need for a gospel restoration if people are still getting their calling and election made sure. We as a people have miserably failed to live consecration. If someone in this day in age of our generation is claiming to have had their calling and election made sure and is now claiming that they are receiving the second comforter, I believe they are either deceived or they are intentionally deceiving others. Most of the alternate voice that come along making these claims are pretty easy to spot by some of the false doctrines they teach. Even if they have not directly made that claim and have been misunderstood by their followers but they knowingly allow their followers to continue thinking that they have had their calling and election made sure, their motives are suspect and they are dangerous people in my opinion. I am very skeptical of those kinds of people. Nevertheless, they have an important calling, to weed out those who don’t know the voice of the Master. Along the same lines, although Presidents of the Church from Brigham Young to the present time have clearly not been claiming to be parting the veil and communicating directly with God, but the fact that some of them have knowing allowed the gullible among the saints to assume they continuously communed directly with God, is, in my opinion, a very serious sin of omission. I don’t think God condones this practice. The Book of Mormon explains that after the fulness of the gospel is taken from the Gentiles, the house of Israel simply comes to a knowledge of the fulness of the gospel, but do not receive the fulness. If indeed we do not currently have the fulness of the gospel, how can people personally receive of the fulness of the gifts of God? Although we live in times of darkness, we are deluded into thinking we live in times of great light. Many of us rationalize that the fulness of the gospel is still on the earth even though virtually all of the gifts of the spirit and the baptism of fire is never truly being experienced by anyone. Obviously, since I feel passionate about this topic I feel personally responsible with regard to the sobering fact that I and others have been trying to explain this doctrine with very little noticeable success. I have pondered long and hard about why I and a few others have been ineffectual in teaching the third watch doctrine. Although I concede that I have probably not done a very good job, I have come to the conclusion that the issue is much deeper than my shortcomings in articulating this doctrine. I am not overly concerned however because the Lord tells us he can do his own work. Another outgrowth of this situation is that many of the alternate voices who are warning about the latter day apostasy seem to have turned against the latter day gentiles. They interpret the scriptures with a huge bias against the role of the gentiles and against the eventual outcome of the gentiles. It is becoming more common to hear certain groups of people make disparaging remarks about the role and outcome of the gentiles in the last days. Categorical statements to the effect that “we gentiles are in big trouble”, and “the gentiles will reject the fullness of the gospel” and “the Lord will raise up another people since the the gentiles will reject the fullness of the gospel”, etc. seem to keep popping up with frequent regularity. Related to this phenomenon is their embracing of the Book of Mormon while rejecting modern revelation… or at least, having a clear preference to the Book of Mormon over modern revelation whenever they appear to differ on doctrinal issues. One of the common signs of this infectious attitude is that many of these bloggers spend most of their time reading and quoting from the Book of Mormon almost exclusively instead of including and giving preference to the modern revelations directed at the latter day gentiles. In fact, they often seem to hold the modern revelations in contempt because of their inability to reconcile several of the apparent discrepancies between the D&C and the Book of Mormon depictions of the gospel and the church. Any time protocol or doctrine seems to differ a little between that which is contained in the Book of Mormon and modern revelation, they seem to default to the Book of Mormon as their guide. Again, although this virus sends people on forbidden paths, it is all good. It all leads to the eventual separation that takes place when the Marvelous Work takes place. I was reading a recent blog in which the author was emphasizing that those ordained by Christ in 3rd Nephi with priesthood power were called disciples instead of apostles. He then deemed it important to acknowledge that David Whitmer questioned whether the office of apostle should ever have been restored..
Of course the blogger did not come out and blatantly commit himself on the issue one way or the other, but the fact that he referenced Whitmer and couched his remarks the way he did, it was obvious how he felt. He is typical of those that have been inflicted with the “Gentiles are Destined to Fail Virus”. He has begun to question many things that took place in the initial establishment of the church. He noted that the 12 who were chosen in 3rd Nephi were consistently referred to as “disciples” and claimed that there isn’t a single apostle in the Book of Mormon record. Actually the Book of Mormon does in fact acknowledge the office of apostle and reveals the fact that the 12 in Jerusalem will return in the 3rd watch. I suppose what he really must have meant, is that there is not a single person who was called to the office of apostle when Christ visited the Nephites. It is indeed significant that the Book of Mormon makes the distinction between the calling of the 12 disciples vs the calling of 12 apostles. Obviously, the 12 apostles in Jerusalem had been commissioned to take the gospel to the entire world while the disciples in the Book of Mormon appear to be somewhat more directed toward serving the descendants of Lehi. Additionally, the 12 apostles had been commissioned to pass their apostolic administrative keys of the kingdom to the gentiles, not the Nephites. As we have discussed in several posts, the gentiles have been given the administrative responsibility over all of the tribes of Israel. This is why Joseph Smith and his associates who have been “identified with the gentiles” (D&C 109:60) were given the keys of the kingdom and the mandate to take the gospel to the whole world. This is why remnants of Israel are carried on the shoulders of the gentiles in the last days. This is why the Book of Mormon points out that the gentiles have care for the house of Israel. This is why the two administrative gifts of the spirit are given to the gentiles but withheld from the House of Israel. As you can see, it is the gentiles and not the House of Israel that have been given the spiritual gifts of understanding the differences of administration and to know the diversities of operations and whether they be of God. The implication that the restored church should not have modern apostles based on the fact that the Book of Mormon 12 were called disciples is shaky at best. To further establish the point via the words of David WHitmer is, simply ridiculous. I have noticed that it has become increasingly fashionable to quote from David Whitmer among some of those who are waking up to the problems in the latter day church and digging into history. I love and admire David Whitmer as much as the next guy and I quote from him from time to time to illustrate what the early gentiles were going through and thinking, but I have challenged much of the false doctrine he taught after he became disaffected from Joseph Smith and the church. I consider his teachings after he left the church to be less than credible. I do not consider them to be a good reason for throwing out the modern day calling of apostles. David Whitmer wrote an amazing diatribe entitled “An address to Believers in the Book of Mormon” which is very fascinating. In it he throws out the baby with the bathwater by denying virtually everything that Joseph Smith was called to do except for the translation of the Book of Mormon. I believe all serious students of the restoration should read it. However, before you read it, you should have a little historical context so that they can see the errors in the things he taught. Please note that he did not publish this thesis until 1887 many many years after he had humiliated himself by personally trying to start his own church two separate times. After his falling out with Joseph Smith, and eventually, many years after the martyrdom, David Whitmer deduced that Joseph had been deceived and that he had never been commissioned to restore the church and priesthoods. I want to spend a little time focusing on Whitmer because understanding his plight contains the key to unlocking some incredible information regarding some prophesies about the gentiles. Whitmer must have felt a burden and perhaps some guilt knowing that he would be accountable before God for his testimony of the Book of Mormon and, in later years, he must have felt awful about how flaky his life looked to the world with the breaking up of the restored church and his own two failures in starting his own church. It was in the above mentioned document that David Whitmer taught that God never commissioned Joseph Smith to restore the office of apostle or the office of High Priest, or any priesthood at all.. He even claims that Joseph was never commissioned to restore the church. It is easy to see how Brother Whitmer arrived at some of his conclusions. After all, he knew that the Book of Mormon was true, but he participated in a disastrous attempt to organize Gods kingdom and establish Zion. He had been the president of the church in Zion during that failed attempt. As he looked at the many failures of the restoration movement and all of the splinter groups that sprang forth from the cause he had been involved in, it was obvious to him that all of them had taken forbidden paths. He must have felt extreme pressure to stand faithful as a witness of the Book of Mormon despite the failure of the saints to live up to the callings and commandments in modern revelation. Possibly the only explanation he could arrive at was that Joseph had simply been deceived and gotten ahead of himself. Whitmer was quite aware of many of the third watch references in the Book of Mormon. It appears that he understood that the Marvelous Work was to be a future event because he taught that there was going to be A SECOND GREAT WORK like the one Joseph did. That would be another reason for his deduction that Joseph got ahead of himself in doing some of the things he did. The following excerpts are taken from an interview with David Whitmer. A- Right after the great tribulation is over. Q- What do you mean by that? One has to give him credit for understanding that there is to be one more last great work. Few Latter day Saints understand that! Nevertheless, Whitmer’s mind had become darkened and he and his fellow gentiles rejected the fullness that was being offered during the Kirtland years. 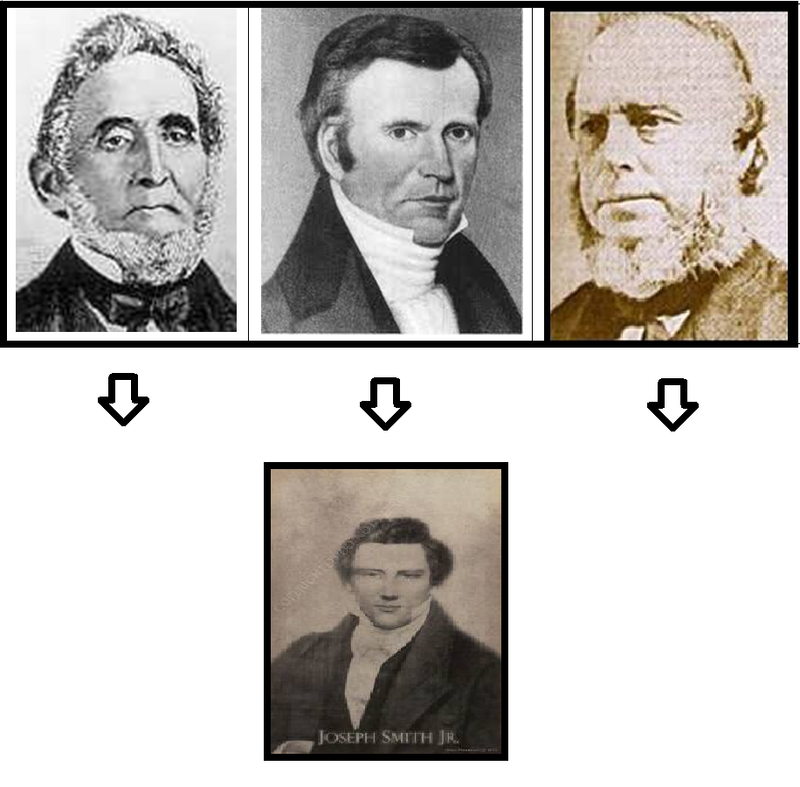 Those who embrace the false doctrines that Whitmer taught as a credible light in understanding the events of the LDS restoration movement would do well to remember that he not only rejected the restoration of the office of apostle, he rejected the restoration of the Melchizedek priesthood and the calling of High Priest. Now then, why do I take issue with these beliefs taught by David Whitmer?